Accommodation London Bridge is an independant accommodation, priced within the budget range for tourist travellers and business visitors. 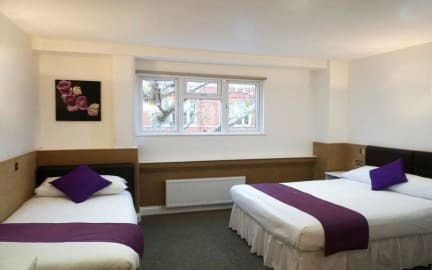 It is a high standard budget hotel situated in the heart of central London offering 44 comfortable, modern, tastefully decorated en suite rooms of all sizes. Accommodation London Bridge is located in the heart of London by Borough Station (and the famous Borough Market), London SE1. A perfect location to visit the Tate Modern, City of London, the West End, Southbank by the River Thames, Shakespeare’s Globe, Theatres and much more. There are three tube stations within walking distance: Borough (Served by Northern tube), London Bridge (Served by Northern/Jubilee tube and National Rail) and Elephant & Castle (Served by Northern/Bakerloo tube and Rail). 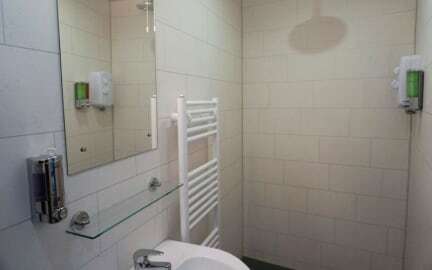 ​Each room is private, bright and comfortable with en suite bathrooms with a choice of showers or baths fitted. The Accommodation opened in 2012 with an aim to make “Every Night Count”. The refurbished accommodation is offered at very competitive rates with extremely well appointed rooms. We have a 24 hour reception with fax and copy services, free luggage storage for early arrivals and late leavers, security deposit box at reception, free fast internet broadband. All Public and Private spaces non-smoking. There is a £200 fine for guests found smoking in the premises.